BRICS Plus, as a model of expansion, was proposed by China on the basis of successful practices in former BRICS Summits. It is sought to establish widespread partnerships between BRICS member countries and other developing countries through dialogues and cooperation, expand our circle of friends, and shape the BRICS mechanism into an influential cooperation platform for South-South cooperation, so as to better reflect the common ground and collective will of the developing countries. Then how do other developing countries make of the proposal? What opportunities does the BRICS Plus promise to them? To get some insight about these, China Today interviewed ambassadors of Iran, Georgia, Nepal, and South Sudan to China as well as two diplomats from Argentina and the Hashemite Kingdom of Jordan. "Since its founding, the BRICS cooperation mechanism has been representing a new cooperation concept, and played an important role in giving a voice in the international community on behalf of the developing world. The Iranian government showed its support to the BRICS Plus proposal when it was first put forward. 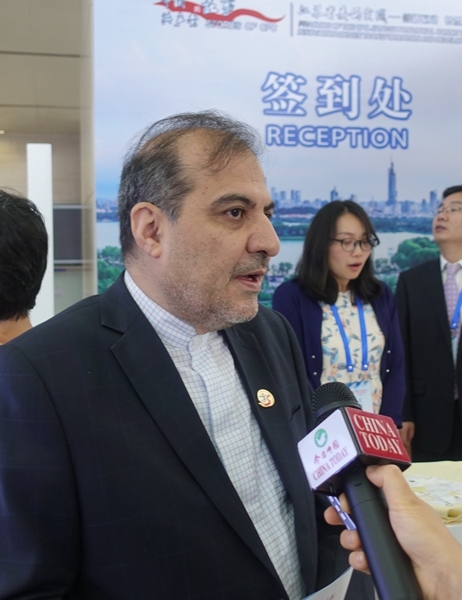 As an important developing country in the region of North Africa and West Asia, Iran is poised to strengthen its cooperation with China under the framework of the Belt and Road and the BRICS Plus. In addition, we also hope China as a leading developing country, can play a bigger role in advancing cooperation among developing countries on such aspects as economy, security and social development." BRICS Plus, as a model of expansion, was proposed by China on the basis of successful practices in former BRICS Summits.